A bright white smile is a sign of youth, health, vitality, and well-being. A bright white smile is a sign of youth, health, vitality, and well-being. Conversely, a dull, discolored smile can put a huge strain on our confidence and attractiveness. Teeth whitening is a simple cosmetic solution that can have a big impact on our happiness and self-esteem. It’s an unfortunate fact of life that teeth tend to yellow and discolor with age. On top of that, some of our favorite vices only speed up the process – coffee, tea, red wine, and tobacco are the big ones. If you have an important life event coming up – maybe you’re getting married, or maybe you just want a little confidence boost without doing anything drastic – you might want to consider Zoom!® Professional Whitening at The Center for Cosmetic & Family Dentistry. How does Zoom!® Whitening work? The Zoom!® Whitening system uses a gentle bleaching agent that can be administered in-office, or at home. Dr. Lichorwic, Dr. Skinner, or Dr. Baya will custom-create a perfectly fitted mouth guard just for you, where the bleaching gel will be contained. The strength and length of treatment depends on the current state of your teeth, and your desired outcomes. As with many dental treatments, individual results and longevity depends on your oral care and lifestyle habits. Your Destin and Panama City Beach dentists recommend avoiding staining agents (coffee, tea, red wine, tobacco) to maximize results, and keep your pearly whites pearly for as long as possible. Because it is natural for teeth to discolor with time and staining agents, we recommend regular touch ups if you wish to maintain results. Is Teeth Whitening bad for my teeth? Absolutely not. Professional bleaching does not break down tooth enamel, nor cause significant pain or discomfort. Some patients do experience very mild sensitivity following treatment that should subside within a few days. However, if you have been diagnosed with periodontal disease, have very sensitive teeth, eroded enamel, or are pregnant, our doctors at The Center for Cosmetic & Family Dentistry may discourage teeth whitening. 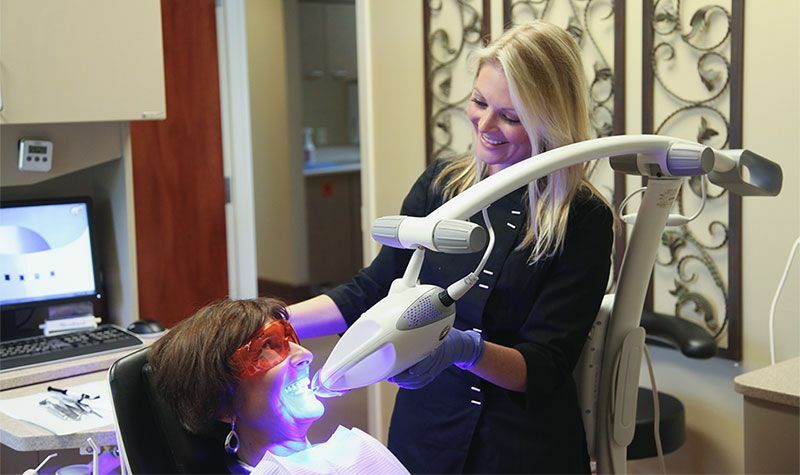 To find out more about teeth whitening in Destin and Panama City Beach, or to schedule a whitening appointment, please don’t hesitate to give us a call – 850-810-0300 in Destin, 850-810-0600 in Panama City Beach – or schedule a consultation online! 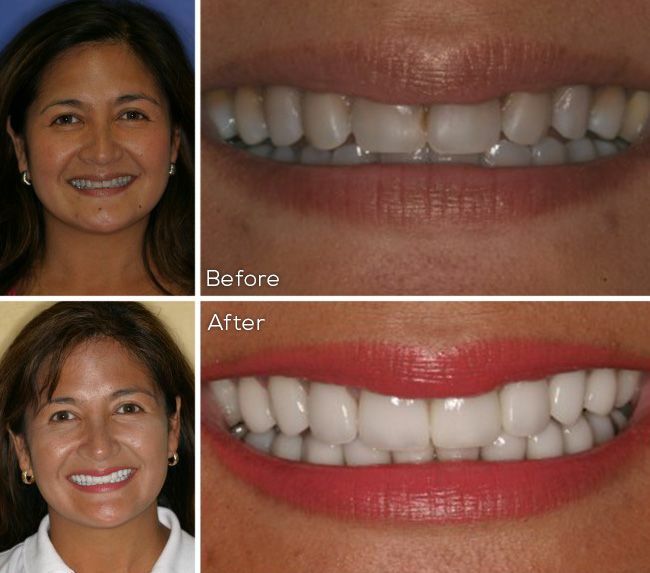 We want to help you take your smile from drab to dazzling.